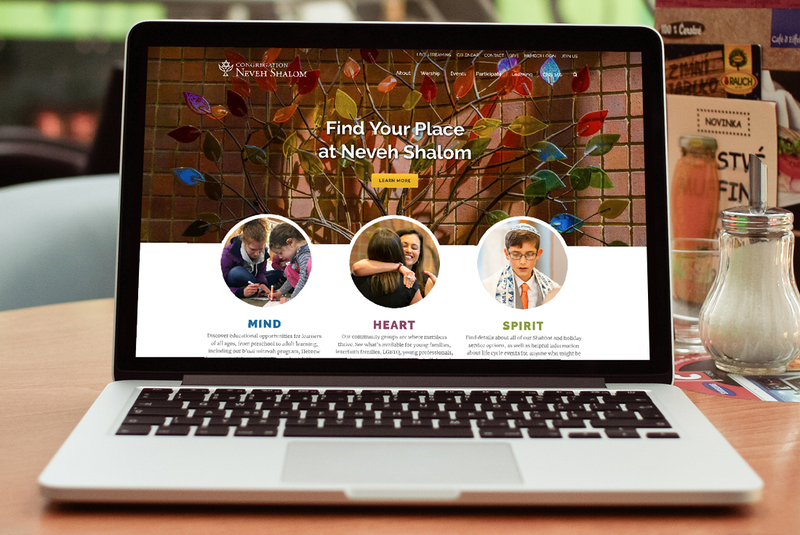 Responsive WordPress Website for Congregation Neveh Shalom (CNS), a 150-year-old congregation dedicated to providing a home for traditional observance, study, and gathering for Portland´s Jewish population. The comprehensive website covers the three main themes of CNS: Mind, Heart, and Spirit which stand for education, community, and worship, and includes a large amount of content and pages that fall into those three categories. The site also features a custom blogging system for sharing weekly inspirations from the clergy, and an events calendar system for promoting the synagogue’s many education classes and opportunities, weekly and monthly services, fundraising events and more.